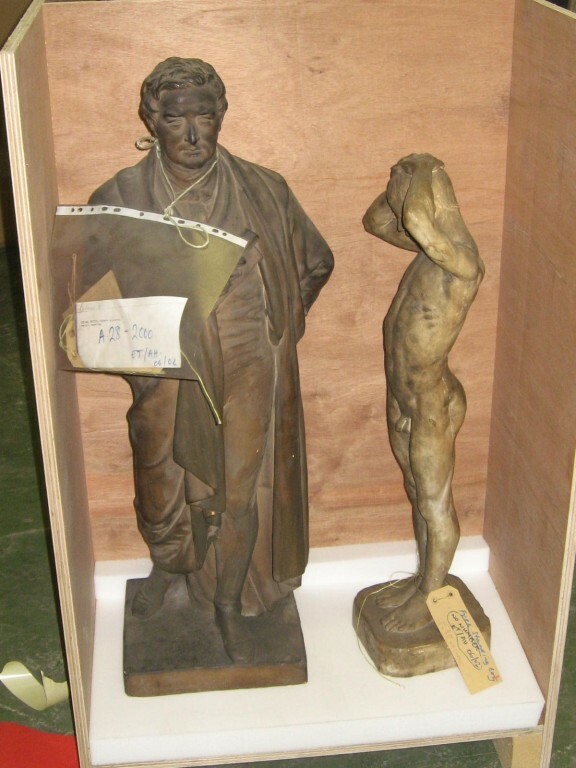 This statue representing Sir Robert Peel is made by William Behnes in England in ca. 1852-5. Sir Robert Peel (1788-1850) was Prime Minister between 1834 - 1835 and 1841-1846. William Behnes (b. 1794/5-1864) was the son of a Hanoverian pianoforte maker living in London. Behnes commenced studies at the Royal Academy. He probably began work as an independent sculptor around 1819. He was very successful and well respected for the execution of his busts. Behnes exhibited constantly at the Royal Academy between 1815 and 1863, but died almost destitute, having been declared bankrupt in 1861. On loan from the sculptor, William Behnes from a date prior to 1870, this is probably one of the four 'Plaster busts, &c' described in 1870 as lent by 'the late W. Behnes, Esq'. 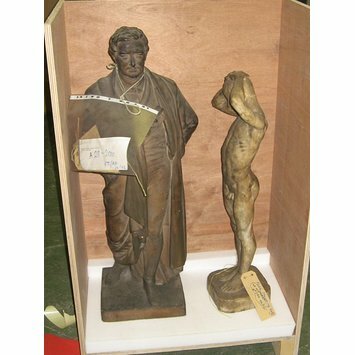 As a redundant loan the present piece was formally accessioned by the Sculpture Department in 2000.